IT IS NO SECRET that we are a nation of bread lovers, and what is more authentic than freshly baked brown bread? While some varieties of bread, such as sourdough, can require quite a lot of time and attention, brown bread is usually much simpler to make. It also has the added benefit of being very healthy. Because brown breads are typically made with whole-grain flours rather than refined flour, they are rich in minerals and phytochemicals, and contain optimum levels of fibre. Making bread may seem intimidating, but it’s actually a very simple food to make, and incredibly satisfying. We’ve collected some uncomplicated recipes from around the web, which are all guaranteed to result in a seriously tasty loaf. After all, is there anything more comforting than the smell and taste of fresh from the oven bread? Get started with one of the recipes below. 1. 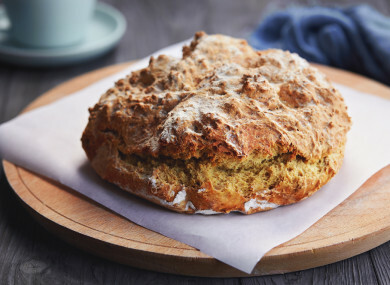 Brown Soda Bread by One Yummy Mummy: You really can’t beat a classic soda bread warm from the oven, topped with melting butter and jam. This tried and tested recipe from One Yummy Mummy is quick to make, and can freeze very well too. 2. Porridge Bread by Simply Homemade: Porridge bread is super easy to make and very healthy. Porridge oats contain slow release energy, making this a great bread for breakfast or kids lunchboxes. 3. Dairy-Free Brown Bread by Dairy Free Kids: Many brown breads contain buttermilk, but not this one. This recipe is ready in just four steps, making it a great one to bake with the kids. 4. Speedy Spelt Loaf by Bibiocook: This bread takes only minutes to prepare and freezes very well, so it’s a good one to make in advance. Any combination of seeds can be used, so feel free to get inventive. 5. Gluten-free Multiseed Bread by Lazy Cat Kitchen: What’s great about this recipe is that as well as being gluten-free, it requires no yeast, kneading or proofing. Why not add some ground spices like cinnamon or nutmeg for an autumnal kick? 6. Fig and Hazelnut Wholemeal Bread by the Happy Foodie: A light, flavourful loaf that would be sure to impress any guests. Hazelnut and figs make the perfect pairing that we think would be complemented beautifully by topping it with melting cheese. Email “6 of the best... hearty homemade brown breads”. Feedback on “6 of the best... hearty homemade brown breads”.